Traditionally, there are three different types of electronic garage door openers – chain-driven, belt-driven, and screw-driven. Chain-driven garage door openers are perhaps the most commonly found. They operate using a metal chain to open and close the door when it is activated. A belt-driven opener replaces this metal chain with a rubber belt. These are a little more expensive but tend to last longer as the metal chain can wear down quicker as it rubs against the metal tracks. A belt-driven opener also produces less noise than the chain, so it is a better option if your garage is attached to your home. Screw-driven openers tend to be even quieter than belt openers, operating using a threaded steel rod. With fewer moving parts involved in the system, less maintenance is generally required for this type of opener, but the downside is that they operate slower than the others. We now also have more options for garage door openers using new technologies, including the direct-drive and DC-powered openers that can work more efficiently and quietly. 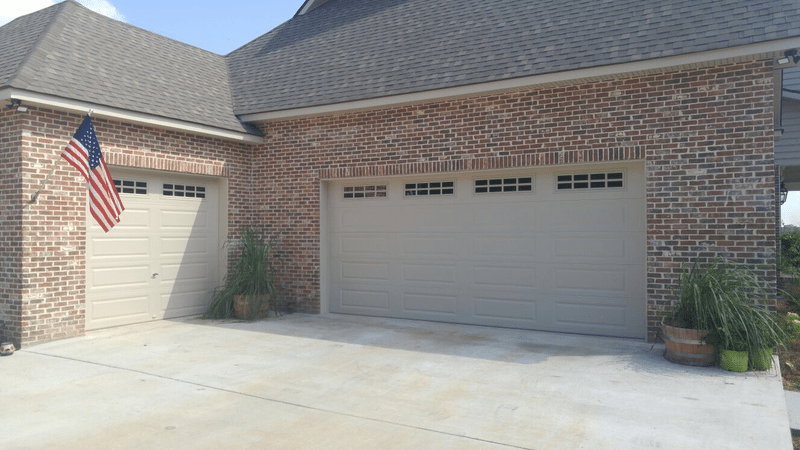 Safety features – Garage doors can be dangerous when not installed or maintained properly. To avoid accidents, a lot of garage door openers come with certain safety features. Your door should be able to stop itself from closing if it detects something in its path, and an auto-reverse feature can make it go back in the opposite direction if it does detect or come into contact with something. Smart controls – Garage door openers can now be equipped with Wi-Fi or another kind of technology that allows you to operate your garage door from a smartphone app. This can be extremely convenient and stops you from worrying about remembering your keys or replacing the batteries in your remote control. Horsepower – It is important that you know what horsepower your garage door opener needs. The standard is ½ horsepower but if your garage door is larger and heavier, then it may need a ¾ horsepower opener or even 1 horsepower. The extra weight that comes from insulating your garage door may mean you need a ¾ horsepower opener. If you need to buy a new garage door opener, have it installed, or need garage door repair for your current opener, then contact us for services around the Piedmont Triad area of North Carolina, including Winston Salem, Greensboro, High Point, and Kernersville.